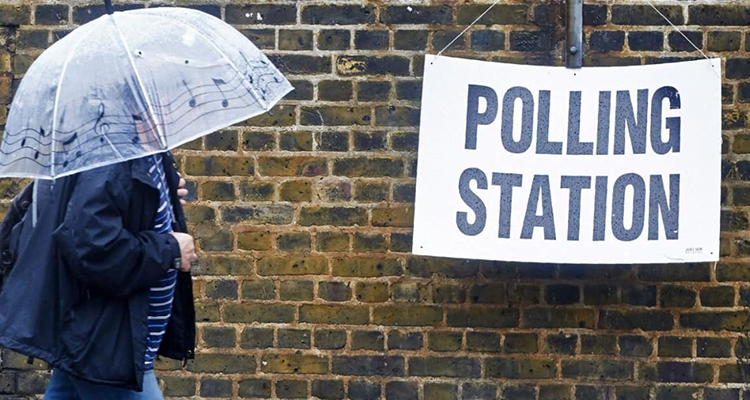 QOTW: Should the UK introduce online voting? Years ahead of schedule, the next UK General Election is almost here. Come Thursday, millions across the land will be having their say on the future of our great country and hundreds of parliamentary constituencies will elect a Member of Parliament to the House of Commons. Unless you've already registered to vote by post, or by proxy, that means braving the weather and heading down to your local polling station between the hours of 7am and 10pm. Fascinating times, yet from a technology standpoint it is somewhat surprising that the voting system has managed to withstand the digital revolution that has transformed so many aspects of modern life. Come Thursday, voters will use pen or pencil to mark a cross on a piece of paper, and the votes will be counted by hand shortly after the polling stations close. Campaigners have long argued that electronic solutions such as touchscreens at polling stations or remote systems with ID verification would reduce costs and potentially increase voter turnout, particularly among young people. Yet voting at the 2017 General Election is one of those rare tasks where you actually can say "there isn't an app for that." A digital solution would no doubt raise genuine concerns over security and potential fraud, but it's an interesting topic with far-reaching ramifications, so let us know what you think: should the UK introduce online voting, and would such an option make you more likely to vote? I don't see why not, sure the system could be hacked but seeing how companies are using big data from the social media companies to directly target undecided voters concerns and fears i don't see what difference a few extra thousand hacked votes matter. Maybe we'll get lucky and we'll one day end up with The Jedi Council in power. Yet voting at the 2017 General Election is one of those rare tasks where you actually can say "there isn't an app for that. I find myself saying that a lot in life…! TLDR: Definitely not! it is not secure. As @Ttaskmaster pointed out voting systems can be hacked by all sorts of bad people. Internet voting systems are especialy vulnerable becuase you don't just have to worry about the voting website (and it's database) but also the network, DNS and each user's OS & web browser. It is basically impossible to prove that an internet voting system is secure. Open source does not help much because you can't prove that the binaries running in all those different places match the source code that people can see. The article alludes to issues of turnout, but turnout is a symptom of low public engagement, and that is the issue that needs fixing, not the symptom. People justify not voting with common complaints such as their vote not counting, or all politicians being crooks, and to an extent they are correct, and their decision not to vote is rational. If we improved engagement by fixing the issues in the system then turnout would take care of itself. Back in the 1950's turn out at UK general elections was over 80% without the technology we are discussing and back then even postal votes where hard to come by. If the government can find a way of making it at least as resistant as paper voting to Russian hackers (other hacker brands available) and general miscreants or fraudsters then yes, definitely. However I don't think it's the whole solution, voting should be easier in general, a regular Thursday is a stupid day for elections, it should be a Sunday. However I don't like the idea of compelling people to vote, people should only be voting if they have an informed opinion, we've seen enough of what ill-informed and narrow minded protest voting can do recently. The biggest issue for me is that unless you live in a constituency that has some likelihood of changing hands voting is largely a waste of time. Where I live (North East Hertfordshire) will always vote in the Conservative candidate, it could be anyone wearing the rosette. This is the 5th election at which I have been old enough to vote and for the first time I have nobody to vote for - every party fielding a candidate in my constituency has a deal-breaker policy I cannot support. Conservatives seem hell-bent on a terrible brexit and have vague policies, Labour think I'm borderline rich and should be taxed back into poverty, UKIP are racists, the Lib Dems want to allow every public place to smell like a pot bonfire and the Greens have been smoking too much already… British politics is a shambles at the moment. Yes and maybe - although I'd hazard a guess and saying there are other parts of the voting system that need overhauling before online becomes available like proportional representation and a system to ensure you actually vote even if it is a non of the above type system.